or just as a special treat for family and friends! Hi friends! I hope you all had a wonderful Thanksgiving! It's hard to believe it's come and gone, and now we are switching gears and getting into Christmas mode. We got our tree up this weekend and I'm slowly working on decorating the rest of the house. I've also been baking up a storm to get a head start on my holiday baking. Anyone else doing the same? 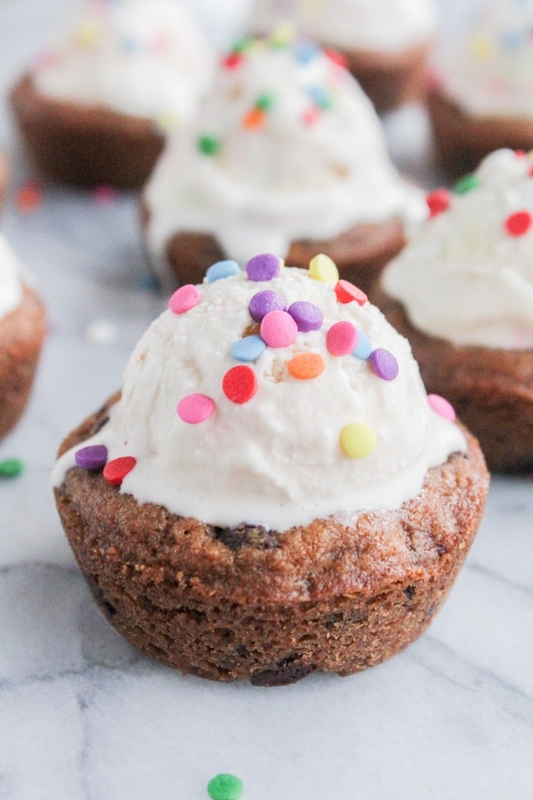 Although there's plenty of Christmas cookies and cakes being made, today I'm sharing with you a really fun and festive dessert that's perfect for any celebration. 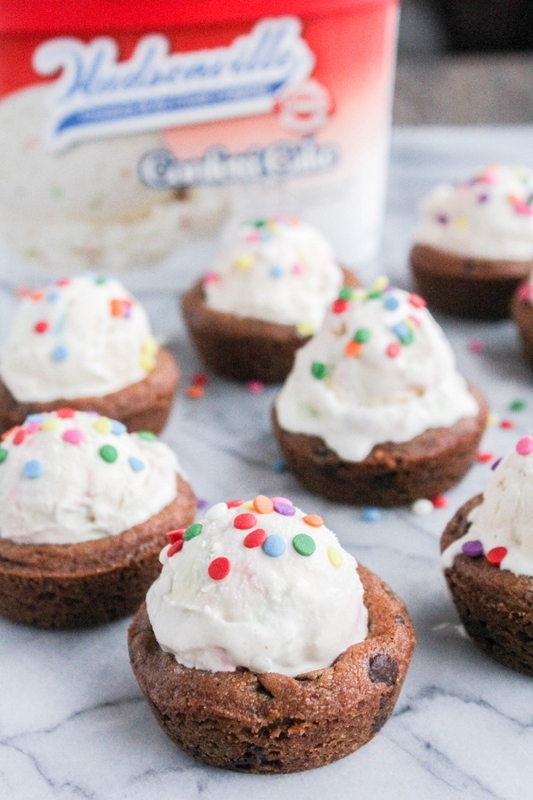 These Confetti Cake Ice Cream Cookie Cups are super simple to make, pretty to look at, and definitely delicious. Made with Limited Edition Hudsonville Confetti Cake Ice Cream, this is one dessert that everyone will love no matter how old you are! Hudsonville Creamery was a co-operative created in 1895 by local farmers who were looking for a better way of selling their dairy products. The creamery started producing ice cream in 1926 and was making six flavors by 1940. Today, Hudsonville Ice Cream produces over 50 flavors and is sold across Michigan, Illinois and Indiana. Many of the ice creams use a base recipe that was created back in 1926, and it hasn’t changed for 90 years.They also source all of their ingredients from local artisans, from dairy and fruit farmers to candy makers and bakers. These are just a few reasons why I love Hudsonville Ice Cream and continue to support them. Well that and the fact that their ice cream tastes amazing! 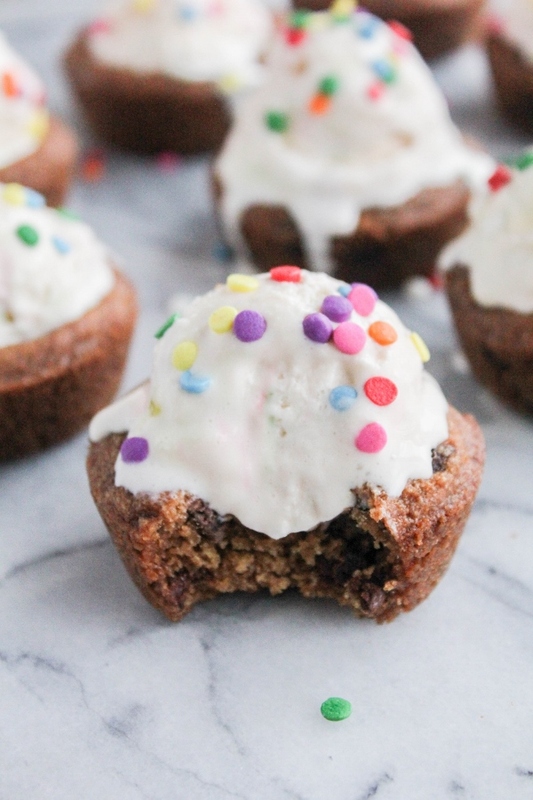 These Confetti Cake Ice Cream Cookie Cups are perfect for any sort of celebration, but you don't need an excuse to make them. I just like having them around as treats for my family after dinner! Be sure to head to the store and grab this Limited Edition Confetti Cake Ice Cream before it's all gone! Preheat the oven to 350 degrees. Spray a muffin tin generously with non-stick cooking spray. Press two squares of dough together and place in a muffin cup. Repeat with the remaining dough so that you 12 cookie cups. Bake for 20 minutes or until golden brown. Cool the cups completely in the pan on a wire rack. (The centers of the cups will indent slightly upon cooling) Carefully remove the cookie cups from the pan. 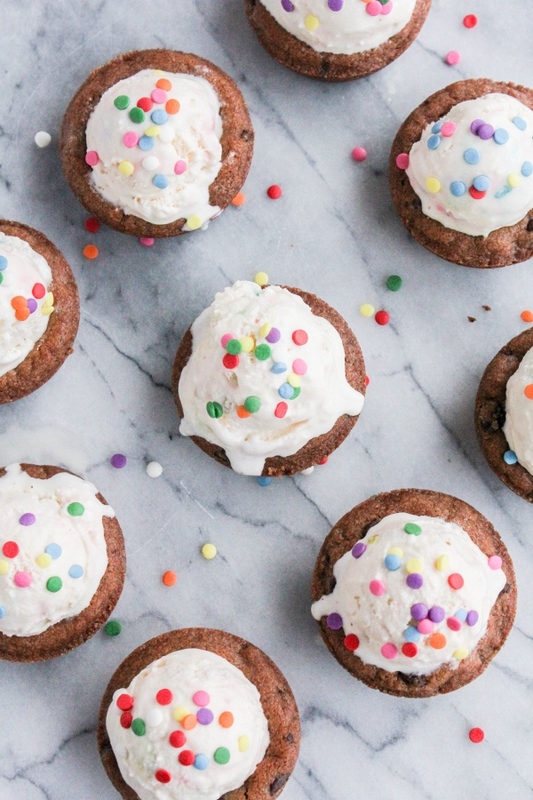 Fill each one with a scoop of ice cream and top with additional confetti sprinkles. Allow them to set in the freezer for 30 minutes to firm up. Store leftovers in a covered container in the freezer. 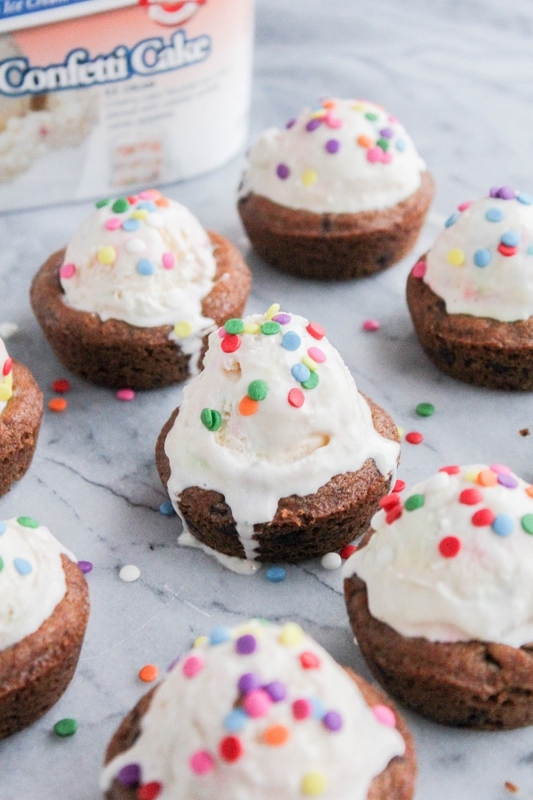 I received free product from Hudsonville Ice Cream to create a delicious recipe for this post.